Description: Mizugiwa Unicorn Dawg is a 100% soft plastic lure that feels real to predator fish, which results in longer hookset opportunities. It is balanced with a jig head so it swims down at a 45 degree angle on the fall and swims horizontal on the retrieve. The Unicorn Dawg can be cranked, jerked, or jigged. When retrieved, it rocks back and forth as the curly tail waves frantically, a combination that drives large gamefish crazy. 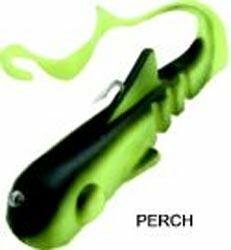 It is one of the most popular Musky lures on the market today, and a must-have in any Pike / Musky anglers tackle box. Specification: Length: 8 inches Weight: 1.6 ounces Hooks: 2/0 treble hooks + single dorsal hook How To Fish: Fish the Unicorn Dawg with a slow, medium, or very fast retrieve while twitching and jerking over weeds, on weed edges, and on or around structure. When fishing at night, cast the Dawg in similar areas that you would during the day. Crank the bait back to the boat with a slow, steady retrieve. Since fish often inhale the lure without a fierce strike, you will feel only a subtle bump when the fish hits the lure. When you feel this bump, set the hook and hang on! Description: Mizugiwa UnicornDawg is a 100% soft plastic lure that feels real to predator fish, which results in longer hookset opportunities. It is balanced with a jig head so it swims down at a 45 degree angle on the fall and swims horizontal on the retrieve. The Unicorn Dawg can be cranked, jerked, or jigged. When retrieved, it rocks back and forth as the curly tail waves frantically, a combination that drives large gamefish crazy. It is one of the most popular Musky lures on the market today, and a must-have in any Pike / Musky anglers tackle box. Specification: Length: 12 inches Weight: 4 ounces Hooks: 3/0 treble hooks + single dorsal hook How To Fish: Fish the UnicornDawg with a slow, medium, or very fast retrieve while twitching and jerking over weeds, on weed edges, and on or around structure. When fishing at night, cast theDawg in similar areas that you would during the day. Crank the bait back to the boat with a slow, steady retrieve. Since fish often inhale the lure without a fierce strike, you will feel only a subtle bump when the fish hits the lure. When you feel this bump, set the hook and hang on! 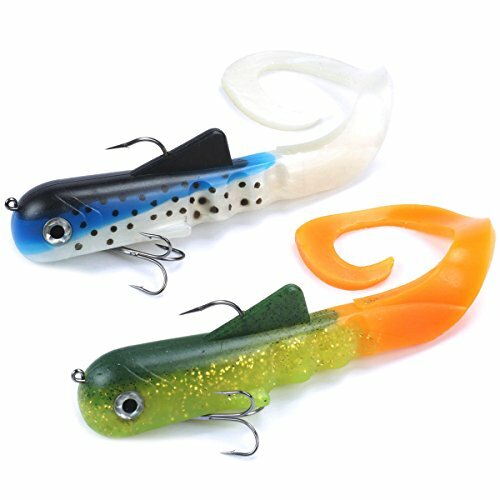 The most exciting, life-like and explosive swimbaits on the market! You can jerk, rip, slow roll, twitch and troll the medussa. As long as the lure is moving it is working. There is no wrong way to reel in the medussa. A proven big fish catcher! 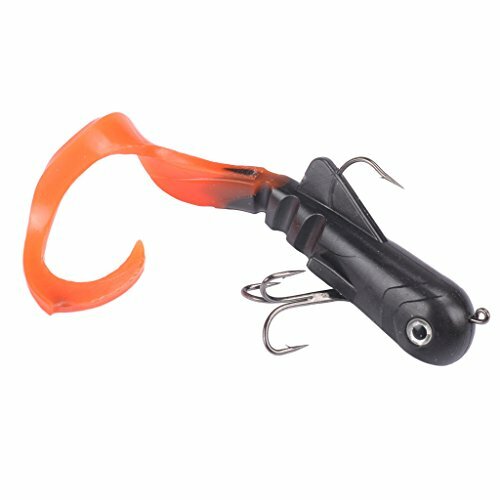 The Bull Dawn is a 100 percent soft plastic lure. It is balanced with a jig head, so it swims down at a 45-degree angle on the fall and swims horizontal on the retrieve. 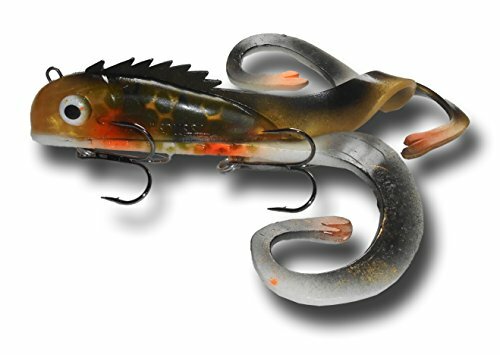 The Bull Dawn can be used as a crank bait, jerk bait or a jig. It is one of the most versatile lures on the market today. When retrieved, it rocks back and forth as the curly tail waves frantically, a combination that drives large game fish crazy. The Bull Dawn literally comes alive in the water and feels so real that fish grab it and won't let go. 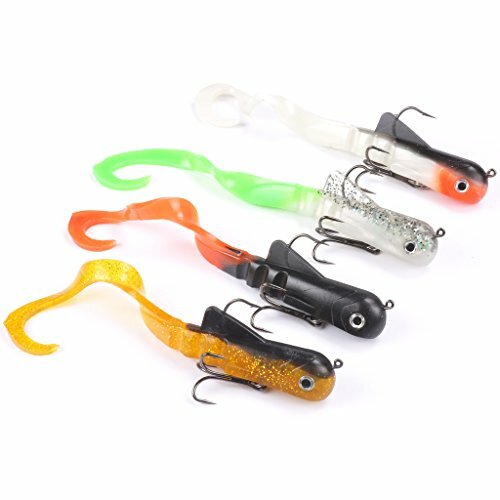 Lead-weighted baitfish, All baits come with a locking harness which prevents "pop out", features exclusive pad printed colors, 3D eyes and an extra thick protective clear coat. The Chaos Tackle's Posseidon has been designed to the perfect length and weighted perfectly which allows it to be the best swimbait on the market. Straight reel it, rip it, twitch it or troll it! 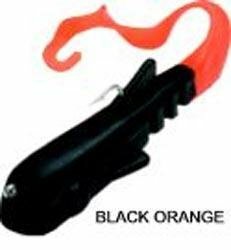 Compare prices on Bull Dawg Lure at ShoppinGent.com – use promo codes and coupons for best offers and deals. Start smart buying with ShoppinGent.com right now and choose your golden price on every purchase.